Can Jorge Arce KO Nonito Donaire the same way Marquez knocked out Pacquiao? By Chuy Marco On December 8, 2012 we witnessed one of the most overrated boxers in history get exposed by a man who rightfully beat him three times before but was robbed, it was justice and it was very sweet. Juan Manuel Marquez the great Mexican boxing legend, finally put an end to the Manny Pacquiao hype with one single right hand punch that sent him sleeping on the … [Read more...] about Can Jorge Arce KO Nonito Donaire the same way Marquez knocked out Pacquiao? Antonio Margarito Will Destroy Miguel Cotto Again! By Chuy Marco Mexico will once again prevail over Puerto Rico on December 3, 2011, when Antonio Margarito aka the Tijuana Tornado beats up Miguel Cotto again. 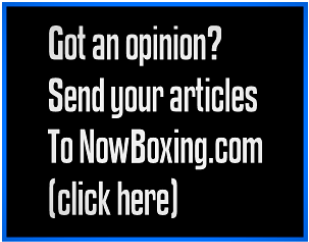 … [Read more...] about Antonio Margarito Will Destroy Miguel Cotto Again!